Dedh Ishqiya First Day Collections | Box Office Collections(Day 1 Earning) : Ishqiya Magic Missing ? Dedh Ishqiya First Day Collections were disappointing as it was outperformed by the other release Yaariyan. Ishqiya was a phenomenal movie. I mean the genre reflection of the movie was really very good and unique. 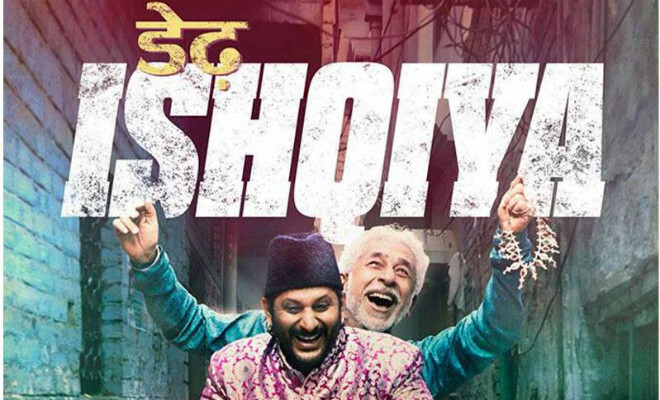 Does Dedh ishqiya makes a move above ishqiya or sets the name in bad books is yet to be decided. So far Dedh ishqiya has not got even one bad review and it speaks of the strength the movie carries. From dialogue delivery to screenplay everything has been well praised and loved by critics but the language (Urdu) of the film is going against it. Dedh Ishqiya opens its collections spot on silver screen with around 3.5 crores (updated) on day 1 which is not a good sign. The Occupancy rate of 20-30 % in the start of the day later went up and the movie managed to make a disappointing collection on first day. What is your Dedh Ishqiya Connect Factor ? Do Share With Us.